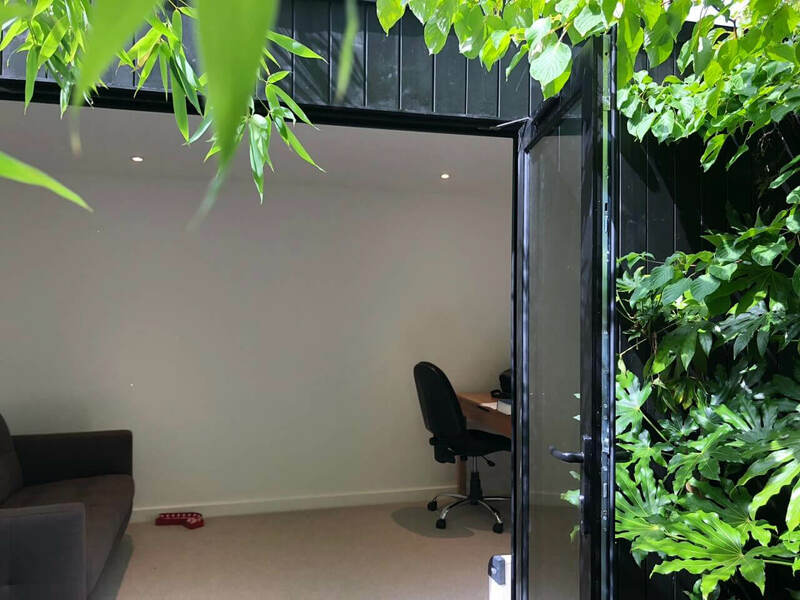 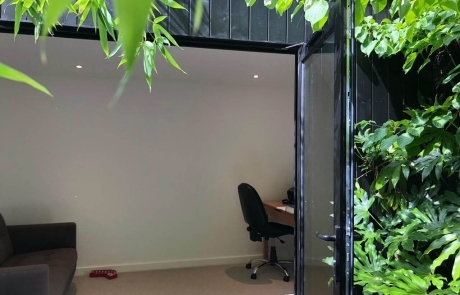 Lekshmy and Dinesh wanted an office which would fit discretely in the corner of their garden. 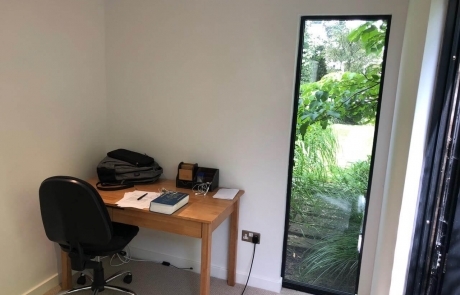 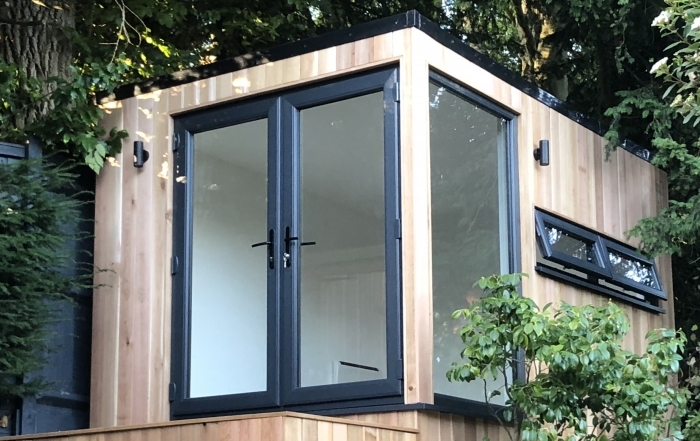 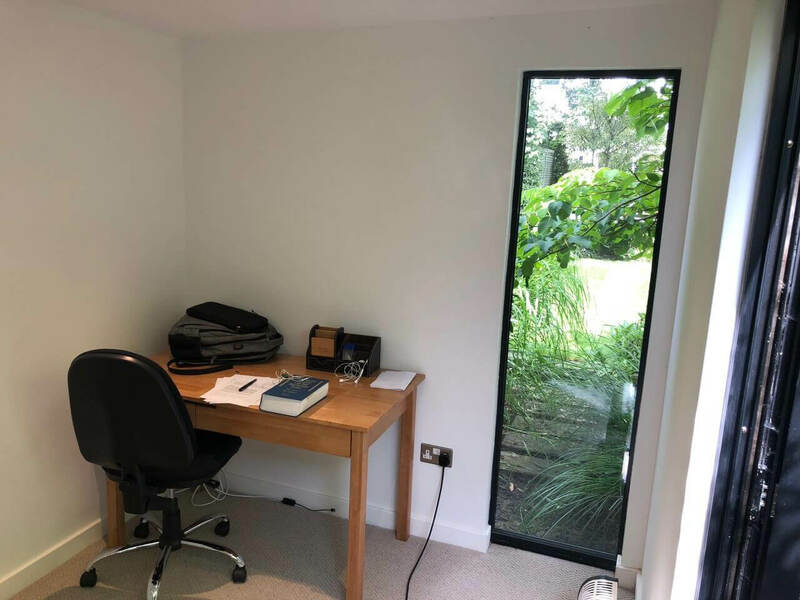 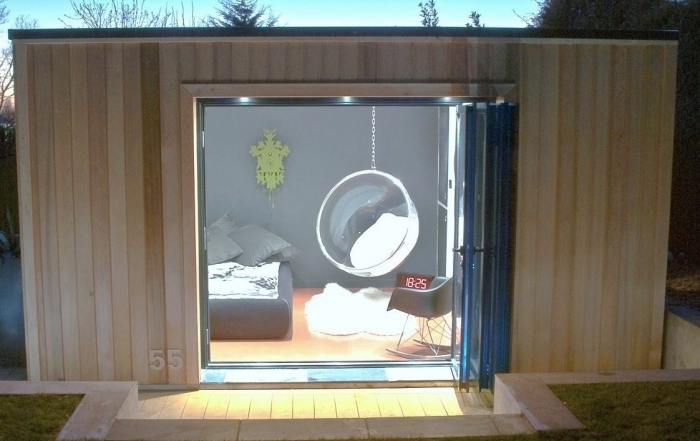 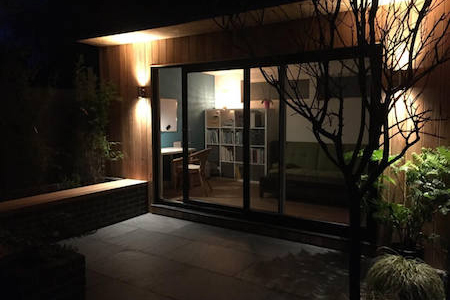 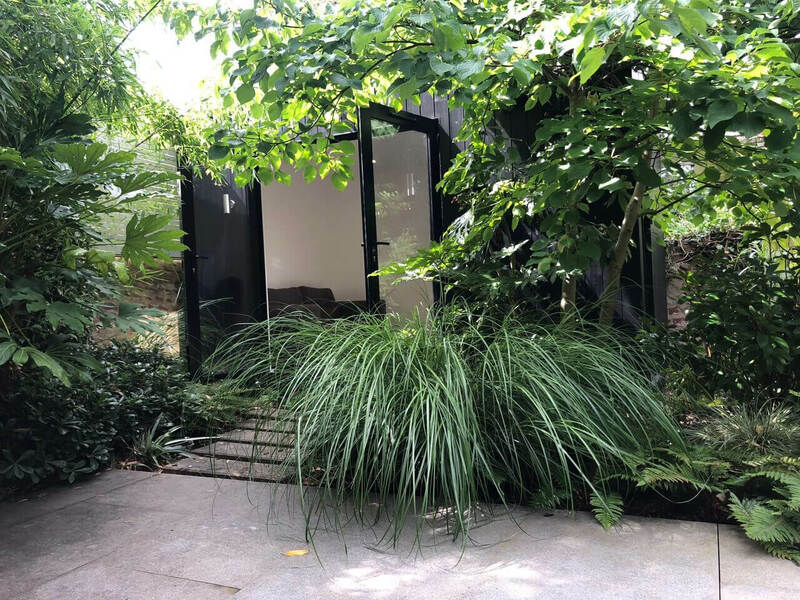 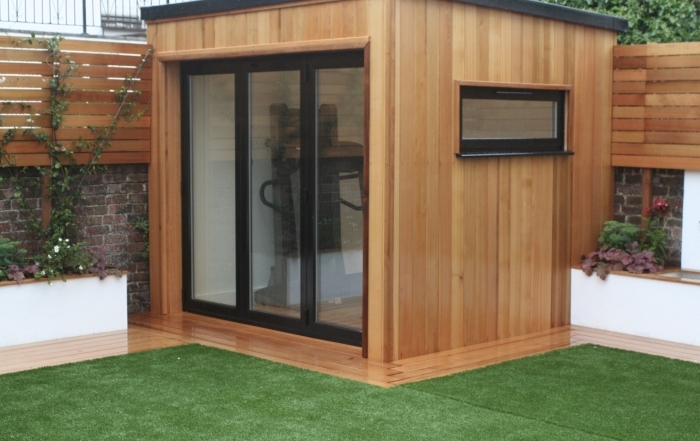 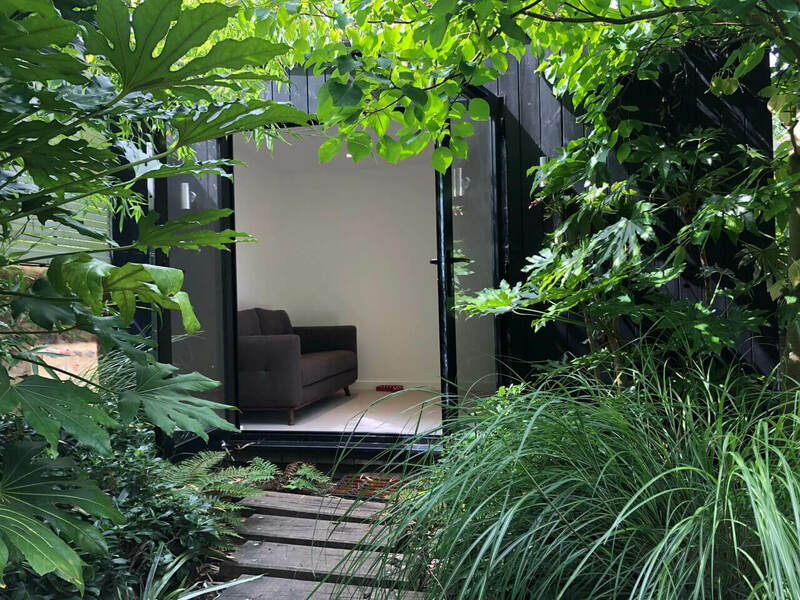 They chose an Astana room (4m x 2.5m) with dark grey aluminium French doors, with a full length picture window to the side to allow lots of natural light. 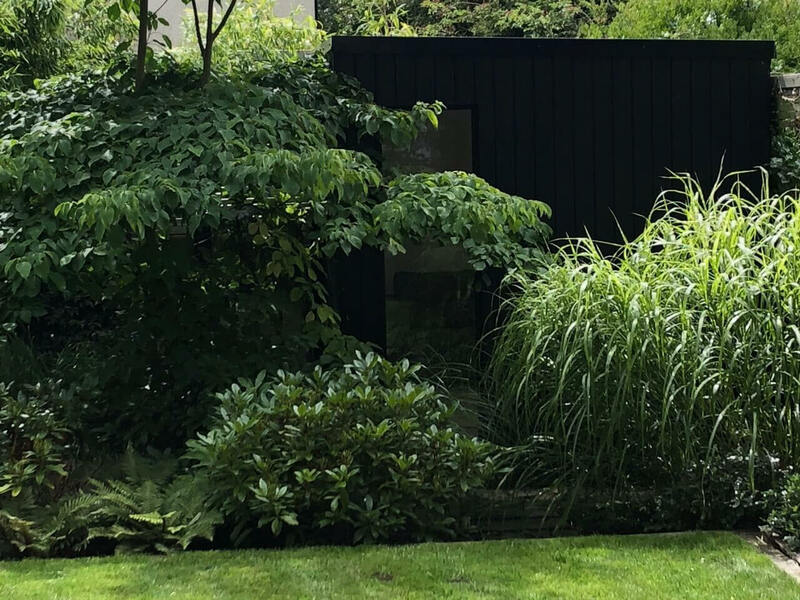 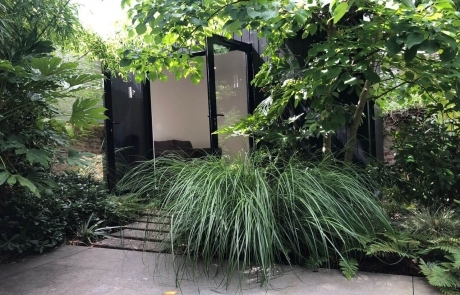 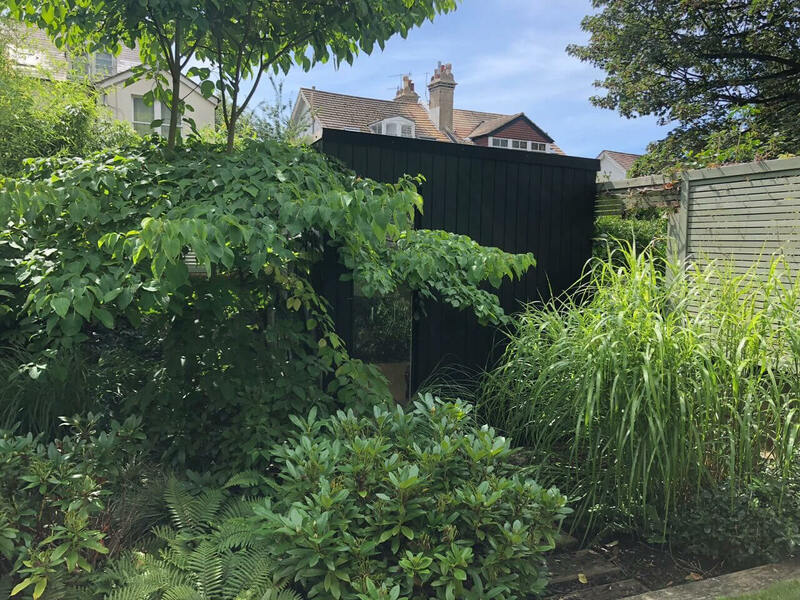 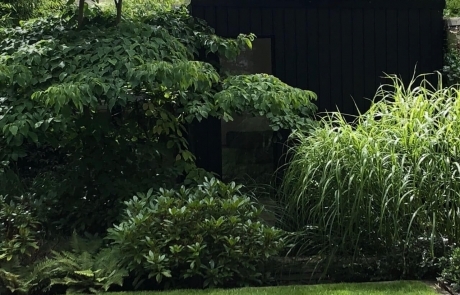 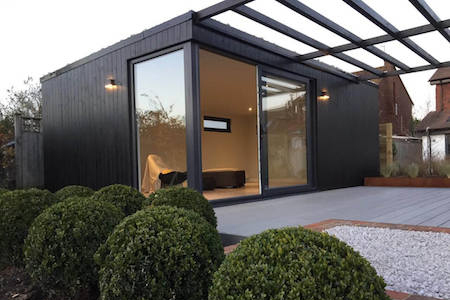 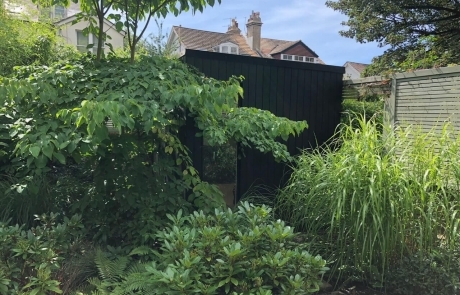 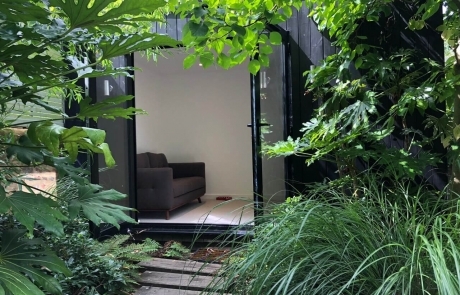 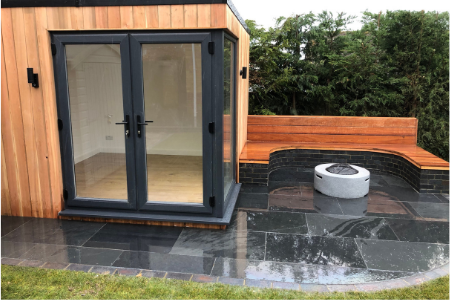 The cladding was stained with ‘Black Ash’ to create a ‘secret’ room with long views over the garden.